We’d love your help. Let us know what’s wrong with this preview of A Study Guide for Evelyn Waugh's Brideshead Revisited by The Gale Group. 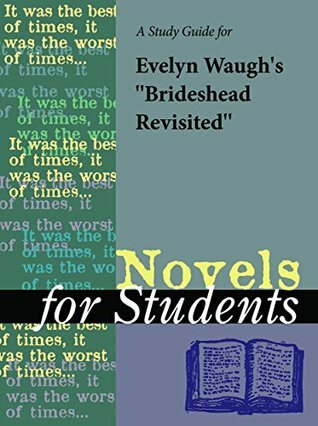 A Study Guide for Evelyn Waugh's Brideshead Revisited, excerpted from Gale's acclaimed Novels for Students series. This concise study guide includes plot summary; character analysis; author biography; study questions; historical context; suggestions for further reading; and much more. For any literature project, trust Novels for Students for all of your research needs. To ask other readers questions about A Study Guide for Evelyn Waugh's Brideshead Revisited, please sign up.